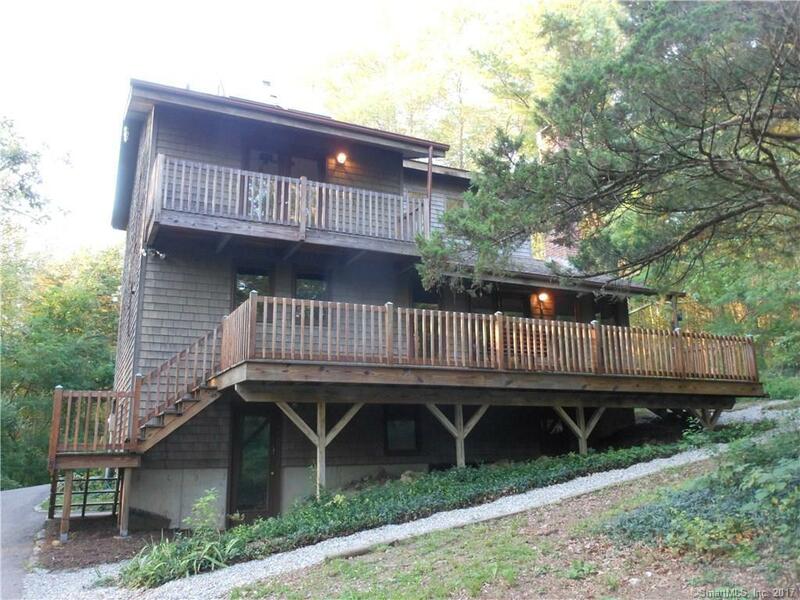 One-of-a-kind 3-4 BR, 3 bath Contemporary set on a secluded 4.73 acre lot in Old Mystic offers living room with vaulted ceiling & woodstove, eat-in country kitchen, hardwood floors throughout, master BR suite with full bath, walk-in closet & vaulted ceilings. Finished lower level offers in-law possibilities - family room with pellet stove, den & full bath. Remote wall unit A/C's, one car attached garage and an oversized detached garage with loft storage. Cedar siding, 34x10 mahogany deck & privacy galore!